Dress code: There is no dress code, but we would recommend that you do not wear shorts or t-shirt. As it is an outdoor venue take a light jacket or cardigan with you; remember to apply insect repellent if you are susceptible to mosquito bites. It is highly recommended that you wear comfortable shoes as you will have to walk the short distance down a gravel path to the venue. Transfers: Transfer time to the venue is approximately 45 minutes, depending on traffic. You will be picked up from your hotel or nearby, details can be found on the voucher sent post-booking. The pick-up/drop-off point is around 800m from the theatre, along an unpaved road. PEOPLE WHO HAVE DIFFICULTY WALKING UNAIDED SHOULD CONTACT US BEFORE BOOKING. Cat 1 VIP ticket holders use the executive entrance 300m from the theatre. Important: The event organisers have a laid-back attitude and the concert start time may vary. Our transfer services will ensure you are there in good time, but there is a possibility you may have to queue before getting to your seat. Please note that you cannot bring food and drink into the venue, there are refreshment kiosks inside where you can buy drinks and snacks. Booking Conditions: Once booked the tickets and transfers are non-refundable. If you cancel you will only receive a refund of a small percentage for your hotel accommodation, the amount depends on how much notice is given. Please see our full Terms and Conditions for more information. In case of strike action announced by the theatre management and/or in case of “Force Majeure” (e.g. natural disaster or performer illness) ActivityBreaks.com will not be held responsible for the event cancellation and will refund only the face value of the tickets (additional commission will not be reimbursed). This event is not suitable for those who cannot walk unaided. If you have any mobility issues you must contact us before booking. Volterra is beautiful walled hilltop town in central Tuscany. Less well known than other nearby medieval towns like San Gimignano, there are fewer tourists, giving it a more relaxed feel. The town offers spectacular views over the surrounding countryside, and it is just an hour's drive from Siena, and around 90 mins or less from Pisa, Florence and Lucca. If you fancy a trip to the beach, the coast is just under an hour away by car. 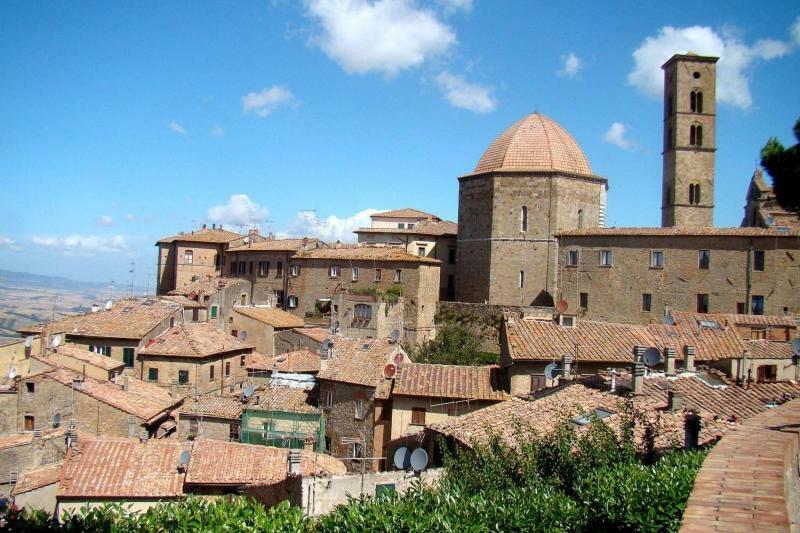 That said there is a lot to see and do in Volterra itself, especially for art and history buffs; the town is a haven of Etruscan, Roman, Medieval and Renaissance art and architecture. 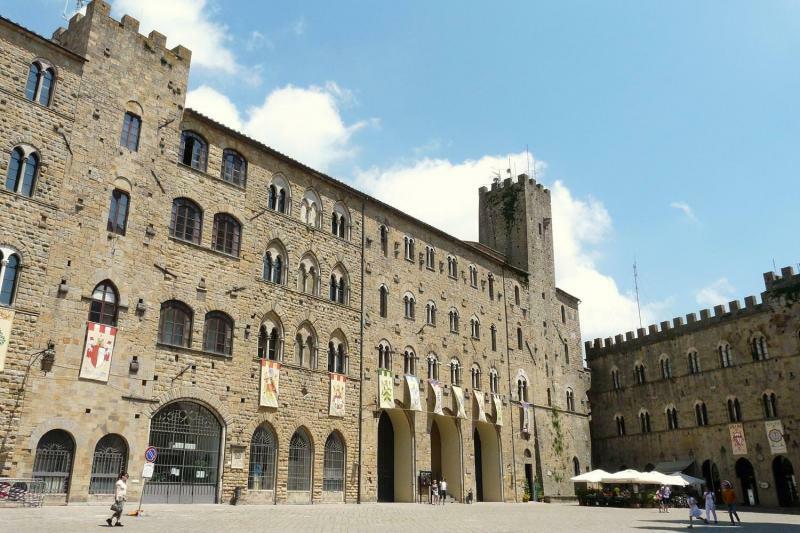 Points of interest include the Piazza dei Priori, Roman theatre, Medici fortress and the Etruscan museum. 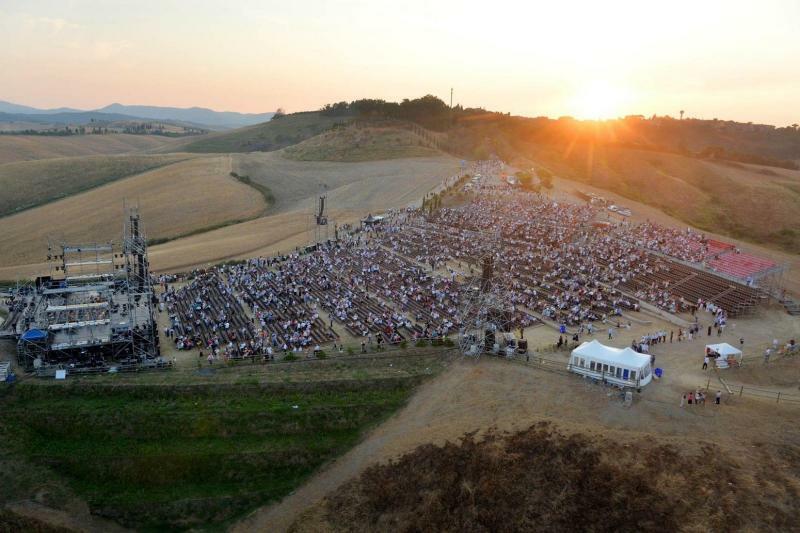 The Teatro del Silenzio is an amphitheatre on the outskirts of Lajatico (20 km from Volterra), the hometown of Andrea Bocelli. Bocelli played a big role in the construction of the venue, which opened in 2006 and hosts his annual homecoming concert every year around the end of July. The event is a special one as it is the tenor himself who decides on the theme, which changes year to year. 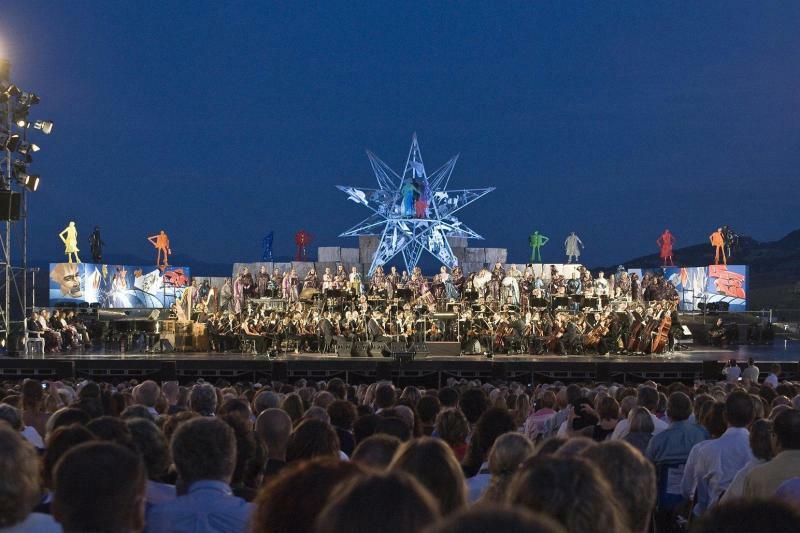 Some years a full opera is performed, while others a more traditional concert is held, where Bocelli sings a selection of his own songs and favourite arias, often accompanied by famous special guests. 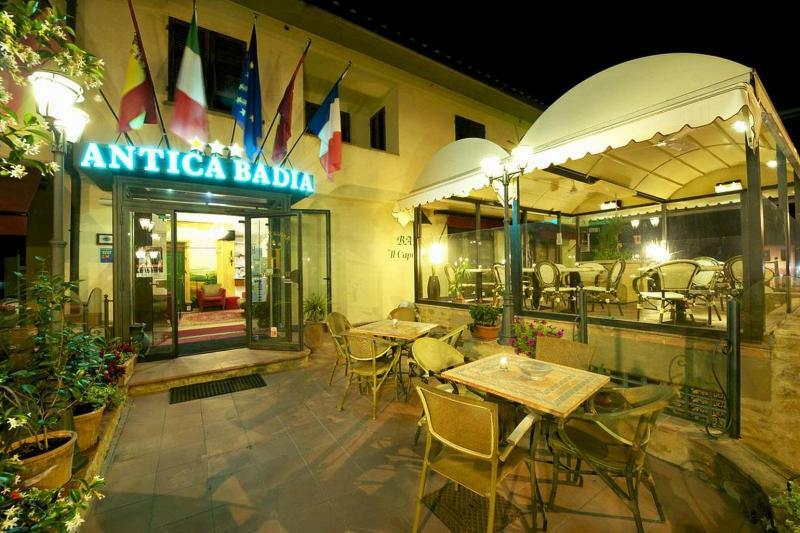 This welcoming family-run hotel is located 5 minutes' walk from the centre of Volterra. 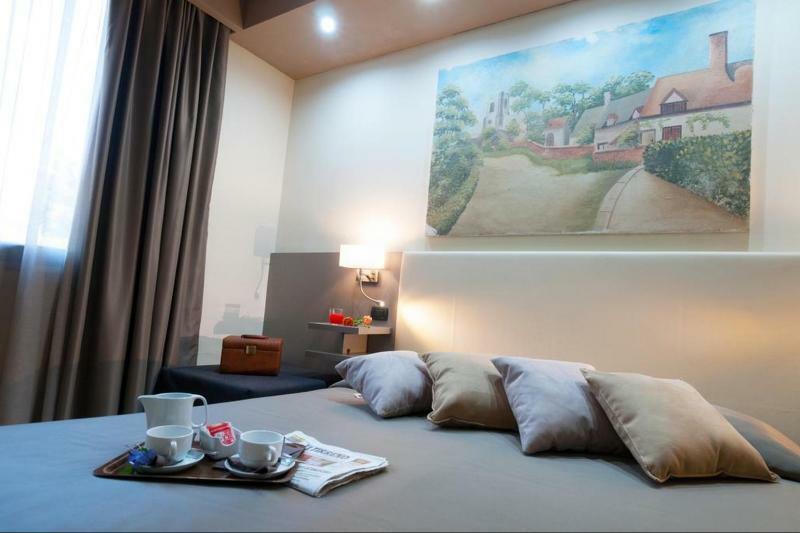 It offers a total of 11 air conditioned rooms which come with free WiFi access, satellite TV and private bathroom with shower. There is a pretty garden with an outdoor swimming pool and sun terrace. The pool is open from 10.00 am to 7.30 pm every day, a swimming cap is required. A good sweet and savoury buffet breakfast is included in the price. 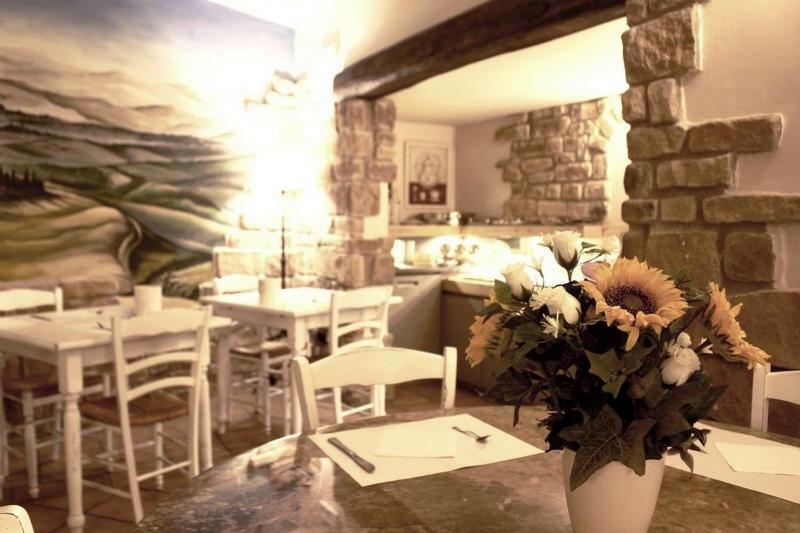 In the evening the hotel restaurant offers hearty Tuscan specialities that can be accompanied by excellent local wines. Private car park available free of charge for hotel guests. From Pisa take the Superstrada Firenze-Pisa-Livorno to Via di Gello/SP23 in Pontedera. Follow signs to Ponsacco, Lajatico then Volterra. Take the train from Pisa Centrale to Pontedera (15 mins, every 30 mins), from there take a bus to Volterra (approx 70 mins, hourly). Volterra Taxi, info@volterrataxi.com (+39) 338 5254424. We recommend booking at least a few weeks in advance.